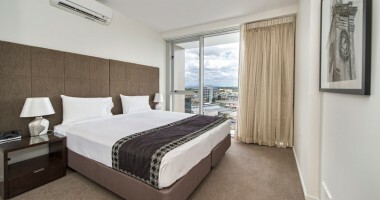 The master bedroom in the Two Bedroom City View Apartments at Empire Apartment Hotel Rockhampton are also available as a Twin Room (King bed in the master suite split into two) upon request. 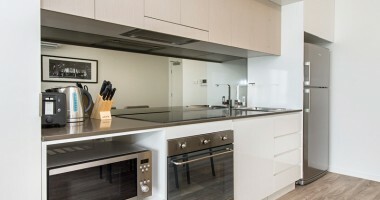 The second bedroom is only available as a Queen bed. 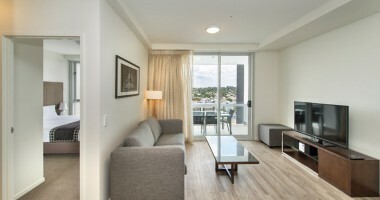 Two Bedroom City View Apartments at Empire Apartment Hotel Rockhampton have a maximum occupancy of 4 people.